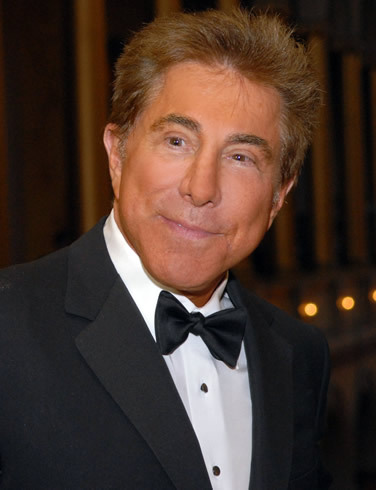 (from Yahoo via ABC news) A half-year mystery for 4,000 families in southern Nevada was at last solved when casino mogul Steve Wynn made it known that he’d made the anonymous donation of $2 million to the United Way of Southern Nevada. Congratulations to Mr. Wynn on a job well done. Will YOU ever do something three billion times in your life? 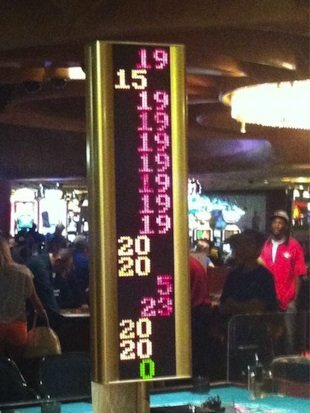 Three billion to one are the odds of what just reportedly happened at the Rio–a roulette wheel hit the number 19 seven straight times, then a 15, then another 19 again! A photo captured by a professional poker player sums it all up (Jeff Romano, from Twitter, above). Check out this post on Yahoo! News for all the rest of the details.